We offer HV / UHV Sputtering Systems designed for Single or Multi Source to achieve various depositions. 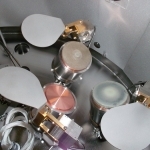 Plassys makes rugged sputtering systems that are simple in design and easy to operate. Yet, they deliver very high-quality homogeneous films with good consistency, be it an R&D unit or a production environment. In-situ Coating Thinness Monitoring & Controlling.